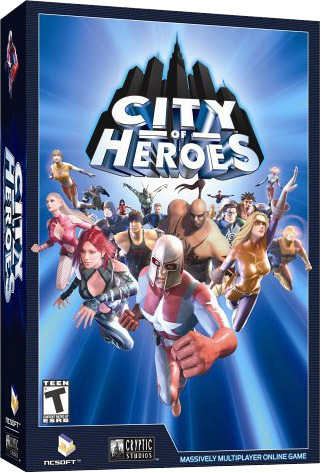 The Board affirmed a Section 2(d) refusal of the mark CITY OF HEROES for t-shirts and other clothing items, finding the mark likely to cause confusion with the identical mark registered for computer and video games. Third-party registrations and usage demonstrated that the goods are related and are sold in the same channels of trade. Applicant argued that the registered mark is no longer in use (according to Wikipedia), but the Board refused to entertain a collateral attack on the cited registration. In re Frank J. Chiara III Serial No. 86561927 (March 8, 2017) [not precedential]. Applicant argued that the marks create different commercial impressions when viewed on the actual goods, but the Board pointed out that the involved marks are in standard character form, and evidence regarding how the marks are actually used is irrelevant here. Applicant's citation of several district court infringement cases was also irrelevant, because there the focus in a civil action the court focuses on actual usage of the marks, unlike this TTAB proceeding. Applicant further contended that he intends to use his mark to promote the City of Boston, and to raise funds "to help the city of Boston." He noted that his clothing items do not display any comic book heroes. The Board observed, however, that nothing in applicant's mark (or in his identification of goods) associates the mark with Boston, or limits its connotation to any particular city or type of hero. Applicant maintained that the Examining Attorney was making a theoretical connection between clothing and computer games, with no real-world business evidence or use. In fact, applicant urged, the cited mark is no longer in use. The Board, however, pointed out that during ex parte prosecution, including an appeal, an applicant will not be heard as to matters that constitute an attack on a cited registration, including nonuse of the registered mark. The record evidence shows that third parties use and register designations to indicate the source of both applicant's and registrant's goods. The Examining Attorney is not required to show that registrant used its mark on clothing, but only that clothing may emanate from the same source as registrant's goods. Applicant posited that, following the Examining Attorney's logic, all goods and services are related because "every major brand holder sells or distributes promotional clothing items." The Board pointed out that the evidence here suggests that, particularly given the tendency of video game makers to market clothing items as collateral goods, these goods are available to consumers on the same websites in the "real world." Finally, applicant complained that, by maintaining the Section 2(d) refusal, the USPTO is forcing applicant to either request a consent from registrant or file "an unnecessary Petition to Cancel five (5) active registrations owned by Registrant in order to clear the way for Applicant to register its mark." The Board agreed that those are the remedies available to applicant. TTABlog comment: Actually, I see only four live registrations owned by registrant, and only one was cited against applicant. So why didn't he suspend this application and petition to cancel that single registration? Ugh. While I understand that this opinion was a rebuke to the Applicant for failing to include evidence, it sure feels terrible to have an opinion that video games and clothing are sufficiently related for LOC. Just feels a bridge too far. Not sure what the going rate is for a petition to cancel but I'm guessing that it would have been close to filing a Response, an RFR, and an Appeal.